BUY 8 AND GET 4 FREE! The ultimate filter for your corny kegs. No more blocked or clogged dip tubes or hop bits in your glass! Perfect for heavily dry hopped IPAs, DIPAs, and NEIPAs. Allows you to add hops, fruit, or anything else you can dream up directly to your beer for the best flavour / aroma extraction possible. Even if you only dry hop in the fermenter or brite tank, some hop bits will invariably make their way into the keg and end up in the glass. The Hop Stopper 2.0 Keg Edition fixes that! We use one on all beers that have hops or additions added post-boil. See the pictures where it was used with 8 ounces of hops and 16 ounces of coconut shavings. Works perfectly! THE BEST KEG FILTER AVAILABLE! Stop using inefficient bags, tea balls, spice infusers, or similar as they limit hop utilization - let your hops roam free! Whether you're dry hopping in the fermenter, brite tank / secondary, or keg, using bags or similar cause the hops to clump together which severely reduces oil extraction requiring more hops to be used. The Hop Stopper 2.0 Keg Edition on the other hand ensures maximum hop oil extraction since the hops are allowed to move freely. The end result is increased hop flavour and aroma with no more clogged dip tubes or hop bits in your glass. Works equally well with other additions including fruit, coconut, spices, or similar. The Hop Stopper 2.0 Keg Edition comes with a very generous return policy: Use it for up to a year from the date of purchase and if you don't like it for whatever reason, you can return it. Along the way we will work personally with every customer if they need it. What does the Hop Stopper 2.0 Keg Edition filter? What kind of hops can I use? The Hop Stopper 2.0 Keg Edition filters out any types of hops you want to throw at it including pellet hops and whole leaf (cone) hops. It also filters out any fruits, spices, or special additions you may wish to use. Do I need to trim or cut my dip tube? For curved dip tubes that pick up from the center, no modifications are required. If you have a straight dip tube that picks up from the side, you need to file an angle or some kind of notch so that the end of the tube doesn’t sit flush against the bottom of the screen. I fill my kegs through the liquid out dip tube. Can I still do that if the Hop Stopper Keg Edition is attached to the dip tube? You can certainly fill that way. Just be aware that any debris you introduce into the keg will now be inside the Hop Stopper Keg Edition, so when you go to serve, that debris is going to come back up and out and end up in the glass. Any dry hops or other things you added separately to the keg will not come out of course as they are outside the Hop Stopper Keg Edition and will be filtered. If you're concerned with debris getting in to the keg from your previous vessel in this manner, fill the keg from the gas in disconnect instead, or through the lid opening (perfectly fine if done carefully*). Purge the keg completely with CO2 and ensure it's sealed: You can either fill it with water until overflowing, attach the lid, then use CO2 to push the water out leaving behind only CO2. This works well but is more work than our simplified approach: Place a gas hose through the open lid right to the bottom of the keg. Fill until CO2 is billowing out (you will be able to smell it). Don’t be stingy! CO2 is cheap. Once full replace the lid. Note: If you’re outside or in a windy area we recommend the water displacement method. 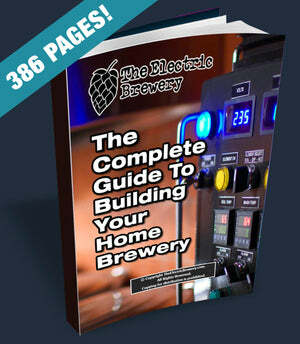 We brew indoors so the simplified method works for us. Rack the beer to the keg, filling from the bottom: Carefully remove the keg lid, drop the racking hose into the keg right to the bottom and fill from the bottom up gently. As the beer enters the keg, the CO2 already in the keg is pushed out the top. Once full replace the keg lid, connect your gas line and burp the keg a few times to make sure that there is only CO2 in the headspace. Total racking time is about 2 minutes. As mentioned above, if you’re doing this outside or in a windy area we recommend filling from the gas in disconnect instead. Of course, if you prefer, a fully closed transfer may also be done. Completely up to you! What diameter dip tube does the Hop Stopper 2.0 Keg Edition fit? The outer diameter of ball lock and pin lock corny keg dip tubes is approximately 5/16" or 8mm. The Hop Stopper 2.0 Keg edition is designed to fit this size dip tube and form a perfect seal. "First pours with the keg stopper - working well, no hop chunks! Wanted to give you and Dennis some feedback. Works great!" - Alex B.